At Burton Copeland, we understand how distressing facing allegations of impairment of fitness to practise and subsequent disciplinary action can be. Investigations and other professional disciplinary procedures can have a devastating effect on your career, professional reputation and self-esteem. It is important that you contact our specialist professional discipline solicitors without delay in order to get the best advice at an early stage. Call us today on 0161 827 9500, or fill in the contact form on the left and we will get back to you immediately. Our specialist lawyers have the experience to guide you through the investigative and disciplinary procedures. We will advise you on your rights and challenge any allegations, presenting the strongest possible case in your defence. 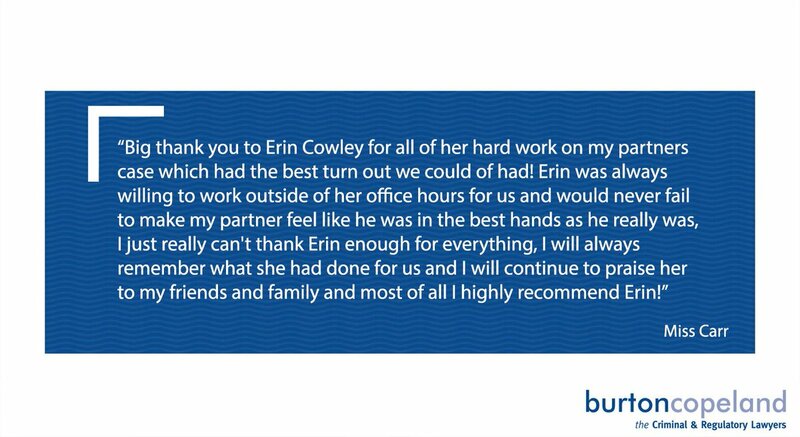 You can be assured that you are going to get the support you need from Burton Copeland. We will work tirelessly to defend you and mitigate any loss you may be in danger of suffering, whilst putting you at ease during this undoubtedly very difficult time. The potential prospect of not being able to practise in an area where you have worked hard to obtain your career and experience will clearly be a worry. Our expert lawyers are here to assist you in advice in relation to funding in addition to investigations and proceedings. In certain circumstances you may be eligible for legal aid or insurance backed funding. We can assist in applications to secure any funding that may be available to you. Should outside funding not be available we have also have put together a package of fixed fees allowing you to budget and know what the costs will be upfront and with no hidden fees to worry about. We can also offer solutions tailored to you, allowing you to instruct us at any stage of proceedings and to benefit from our specialist services for as long as you need us. You can be assured that our fees are fair and reasonable. We are also flexible and will always advise you fully and frankly to enable you to choose which option is best for you. To speak to a member of the professional discipline team, based in Manchester, call us on 0161 827 9500 we are available 24 hours. You can also get in touch with our team by filling in the contact form at the top of this page.